Flip a coin. If heads, you can run to the other Pokemon and hit them two times (each hit is 5 damage). Flip a coin. 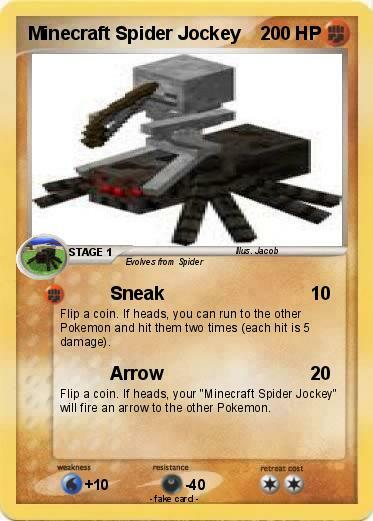 If heads, your "Minecraft Spider Jockey" will fire an arrow to the other Pokemon.